Some of you out there in Spinachland may be thinking, “What does this have to do with my love of trees? The President hasn’t been loving on trees lately, and won’t as the election season rolls forward (as Juliet Elprin argues).” Others of you may be thinking, “Yes, but the President’s budget doesn’t pass, so it’s not important.” Let me clarify by saying that his budget has lots to do with your love of trees, and that it is important. It is accurate to say that the President’s budget won’t pass. We’ve got a Republican House of Representatives that will ensure it doesn’t. Some say we should therefore go ahead and ignore it (see Dan Friedman in the National Journal). I will argue that this fact doesn’t make the President’s budget unimportant. The President’s budget is the starting point of negotiations. It lets Congress, as well as other interested parties, know where the President’s priorities lie and where we may be seeing a fight. More importantly, in this fiscal environment (and because the Senate won’t introduce a budget), 9 times out of the 10, the President’s budget will set high mark for funding levels (meaning don’t expect that whatever comes out of Congress will be higher than his request). A couple of things to note in looking at the President’s budget: (1) The numbers won’t be as frightening as they should be. What do I mean by that? I mean that the Budget Control Act passed last summer to allow the President to raise the debt ceiling and for us to avoid another showdown with the stock market called for a supercommittee (starting to ring a bell?) to deliberate on ways to increase revenues or decrease spending in an effort to achieve $1.2 trillion. As you might recall, the supercommittee failed. With that comes sequestration, an arbitrary 9% cut across all federal spending, set to take place in January of next year. Yet, the President’s budget does not account for this 9% chop. The President is riding high on the hope that the ever-so-efficient body known as Congress will find the time to get rid of the sequester (and perhaps offset that money by allowing the Bush tax cuts to expire—an idea I’m just throwing out there). So that’s factor one. Factor two: Given the election year, it is also unlikely that we’re going to see a real appropriations process go forward, one where lawmakers will negotiate over exact spending levels (like we actually saw last year, albeit late as usual). In talking with some staff, they aren’t getting their hopes up that high and neither should you. It’s more likely that we’ll see a continuing resolution (CR) pass that keeps spending the same as last year. So, it’s fair to say that the President’s budget perhaps matters a little bit less than it did even last year. But again, the budget should be telling, especially for enviros. Will the President try to please us at all? Will he put himself out there to care about the important work that EPA has to do in executing regulations for the protection of our health and environment by calling for increases from last year’s dismal levels? Or, might the election season start to take an even greater effect on our priorities? 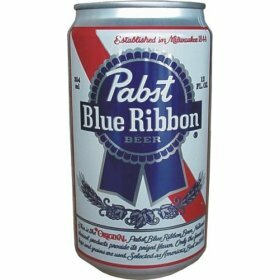 Crack open a nice, cold, PBR (you’re going to need it) and “let the good times roll…”. Damnit, Kara, now I want a beer. And it’s barely 9 AM. I haven’t even finished my third cup of coffee yet! So far, no mention of environmental measures that seems particularly eye-catching – although there does appear to be increased spending in transportation and infrastructure, both of which are double edged swords. If managed correctly, these two areas can greatly benefit the environment, but if it means expanding roads and coal/nuclear power plants, then I’m doubtful.